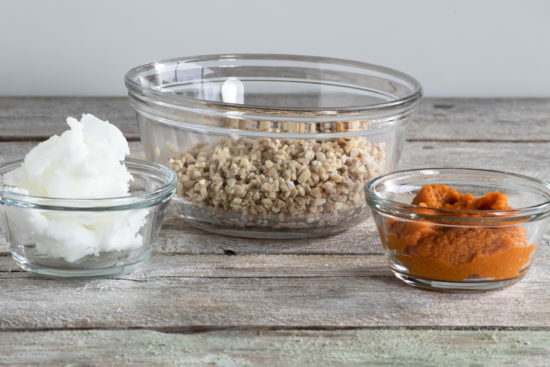 Fat bombs are a great way to get in your healthy fats into your diet. Whether you’re following the keto plan or just want a tasty way to get calories into your diet, these are the way to go! 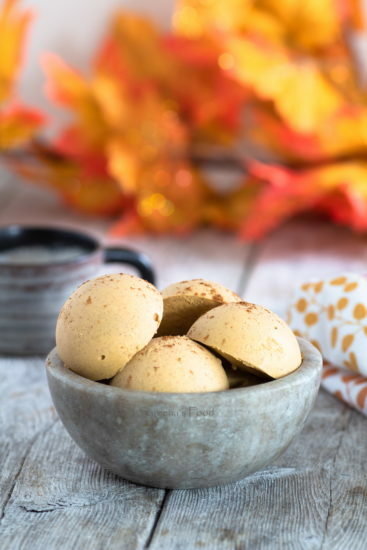 As you know, I LOVE pumpkin spice everything, so why not make them into fat bombs? All you need are a few ingredients to make this. I chose to use stevia to sweeten them, but if you’re not following keto, you can substitute 1 tablespoon of maple syrup instead. Make sure that you use unsweetened plant based milk so that your carbohydrates stay in line. Simply puree everything together until it is completely smooth. Make sure there are no lumps as it isn’t as pleasant to eat. Pour into silicone molds and freeze for at least one hour. 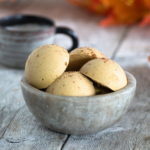 I used my recipe for Pumpkin Pie Spice Mix in it and it pairs wonderfully! 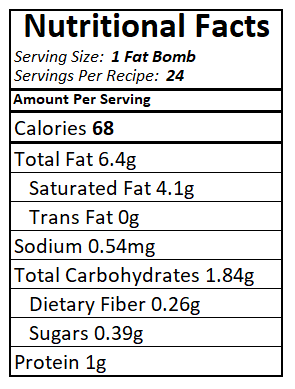 Here is the nutritional info for the fat bombs. As I said above, the carbohydrates may differ slightly depending on the plant based milk you use. I used unsweetened coconut milk. 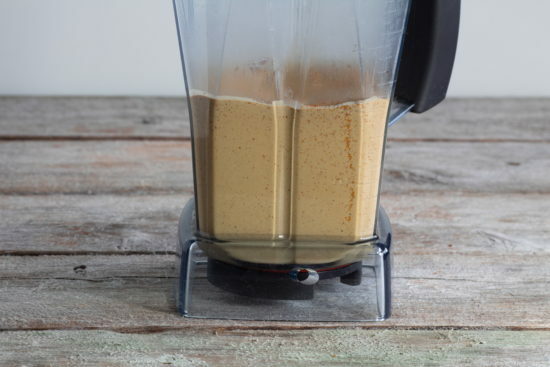 Combine everything in a food processor and blend until it has a very smooth texture. Pour into silicone molds and freeze for at least 1 hour. Keep in a closed container in the freezer up to 1 month. *depending on the type of plant based milk you use, your carbohydrates will differ slightly. Great flavour. 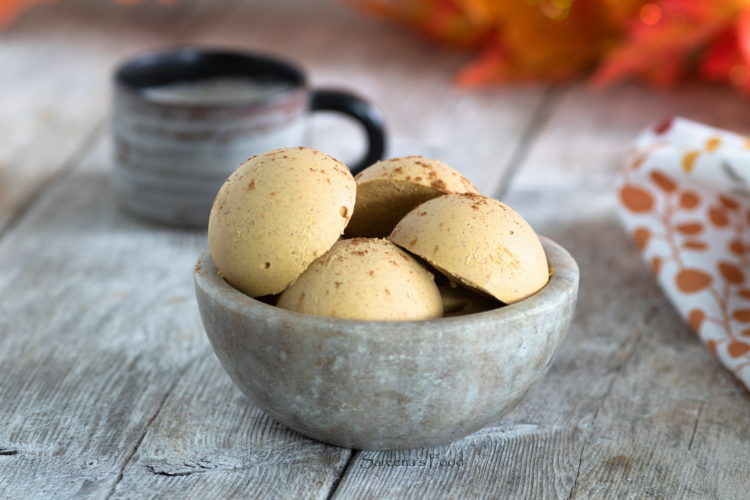 Excellent fat bombs for Keto.